The False Claims Act stands out among the laws of the land because of its “qui tam” provision. 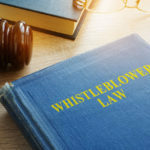 Unlike most laws, where only the party directly harmed can bring a lawsuit, the qui tam provision allows a whistleblower to bring a case on behalf of the government entity that has actually suffered the monetary loss. The whistleblower need not have suffered any harm at all; they only need non-public information regarding false or fraudulent conduct in order to bring a case—and potentially receive a share of the proceeds for doing so. So what exactly does the typical False Claims Act or qui tam case look like? The answer is as varied as the thousands of ways in which taxpayer dollars are spent. There is not a single industry in the United States in which the government does not pay money to private companies for goods or services. In healthcare, of course, the Medicare and Medicaid programs make up almost half of all payments to doctors, hospitals, and other providers of medical services and goods. In the defense industry, hundreds of billions of dollars of government money are paid to private contractors every year, both domestically and overseas. These are the two most common areas in which False Claims Act cases arise. But government spending spreads far beyond healthcare and defense. The government spends billions of dollars every year on everything from toilet paper and hand soap, to computers, extension cords and software, and everything in between. The government also supports many industries through subsidies, loans (student loans, for example), and guarantees (of many home mortgages, for example). Taxpayer money is, quite literally, everywhere. And anywhere there is government money, there are companies and individuals willing to cheat, lie, and cut corners to get a greater share of that money than they are entitled to. Scratch the surface, and fraud against the government is abundant. Oil company BP paid $102 million to California taxpayers in a case under the California False Claims Act alleging that the company overcharged the State of California on purchases of natural gas. The case was brought on behalf of a terminated employee, Christopher Schroen. Marinello Schools of Beauty paid $11 million in a qui tam action filed by six whistleblowers, former employees of Marinello. Marinello was accused of fraudulently obtaining federal student loan funds. Based on overlapping allegations, the United States Department of Education forced Marinello to close its doors. Prior to its closure, Marinello was one of the largest chains of for-profit beauty schools in the United States. Software company VMware, Inc., paid $75.5 million in a qui tam suit alleging misrepresentations to the federal General Services Administration (GSA). The case alleged that VMware failed to provide government purchasers with the same generous discounts provided to non-government purchasers. The whistleblower was a former employee. Diagnostic Laboratories, Inc., the largest provider of laboratory and x-ray services to nursing homes on the West Coast, paid $19.4 million to settle claims brought by two former employees under the False Claims Act. The case alleged that the company provided discounts to clients as a kickback to induce Medicare and Medi-Cal referrals. Quest Diagnostics, Laboratory Corporation of America, and other laboratories paid over $300 million to the State of California under the California False Claims Act for allegedly violating California’s Medi-Cal low-price rules, which require Medi-Cal providers to give Medi-Cal the best prices that they offer any customer. Vitas Hospice Services paid $75 million to the United States to settle False Claims Act cases filed by several nurses and a physician who worked at the company. The case alleged that Vitas routinely placed and kept patients on hospice who did not have a terminal illness. As a result, Vitas billed Medicare tens of millions in taxpayer dollars for services that were not appropriate. In Part 4, we will explain who can be a whistleblower under the False Claims Act, and provide an overview of the process. This multi-part series will provide a general overview of the area for those who think they may have fraud to uncover. These areas of law are, of course, highly complicated, and this series is not designed to provide legal advice of any kind. If you have questions about your rights, obligations, or potential legal claims, you should contact an attorney, and do so as promptly as possible, as there may be statutes of limitation or other deadlines that could impact your ability to bring a claim.